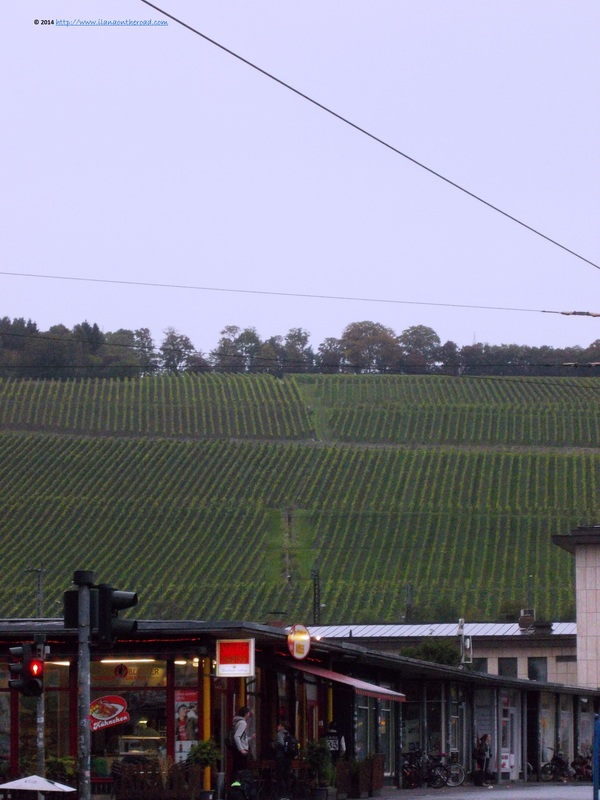 I left Berlin for my first encounter with the Franconian region with a lot of side notes about the architecture, history and arts, but apparently I had missed the main point: the abundance of vineyards that can be seen on the hills from all the main streets. As a serious and I assume also experienced wine lover, my attention for the history and arts went obviously distracted for a long time. 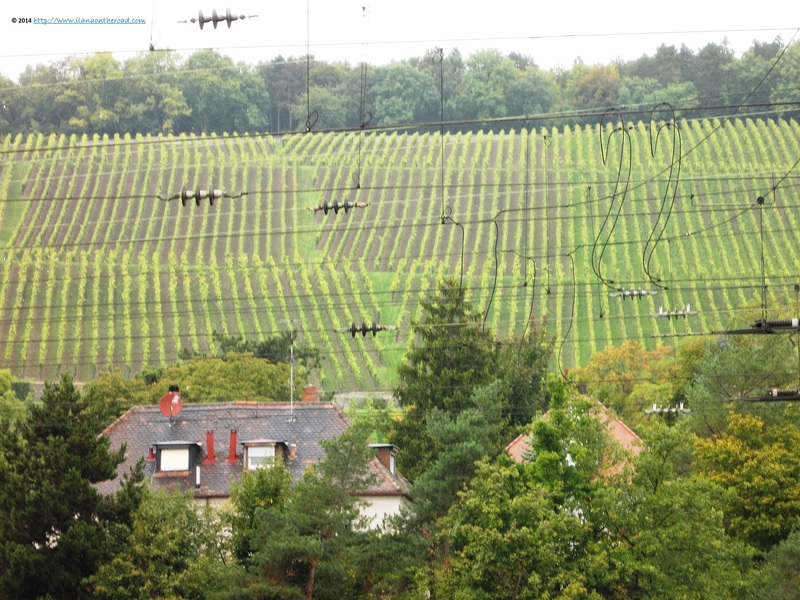 As I will later find out, the climate and the soil makes this part of Germany one of the oldest and largest wine producer in the country. However, the climate was not very kind with me this October Sunday, but the wind and some cold rain showers did not discourage me to keep discovering this mysterious city. 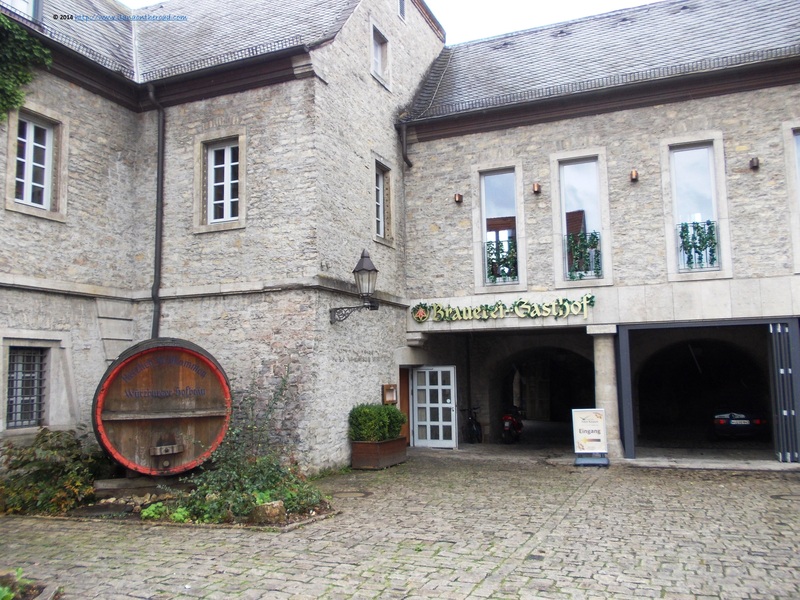 Those not interested in the local wines, or simply with a durst for the German branded beer production are welcomed in old breweries serving late breakfast and generous beer pints. There were enough courageous tourists enjoying their meal outdoors. 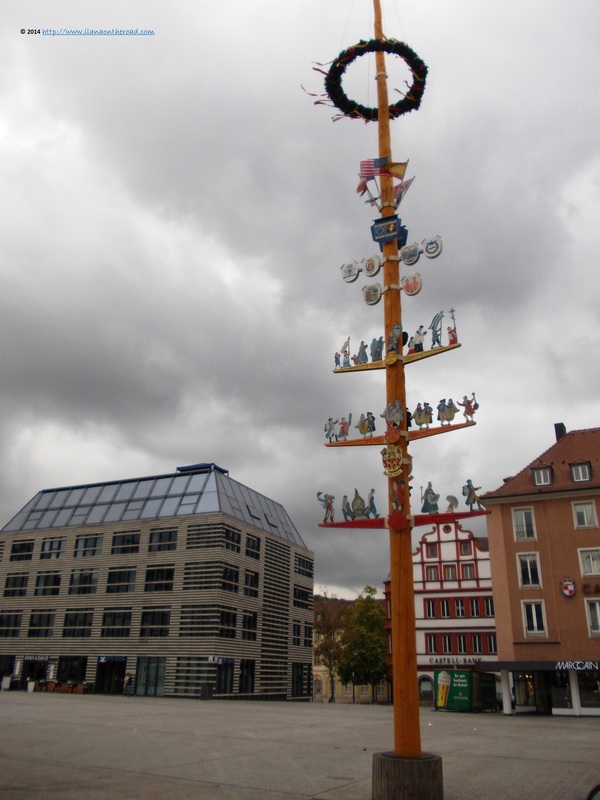 As for the local people, it is a Sunday and this part of Germany is known for its religiosity and except the tourist spots, there are not too many shops or other daily attractions open. 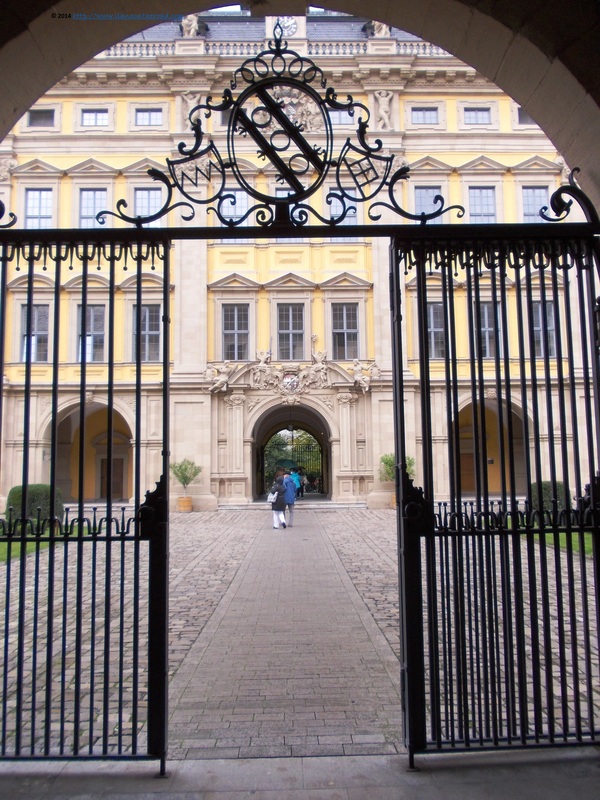 Due to its religious profile, Würzburg also had several cloisters that eventually in the recent centuries were turned into public hospitals. 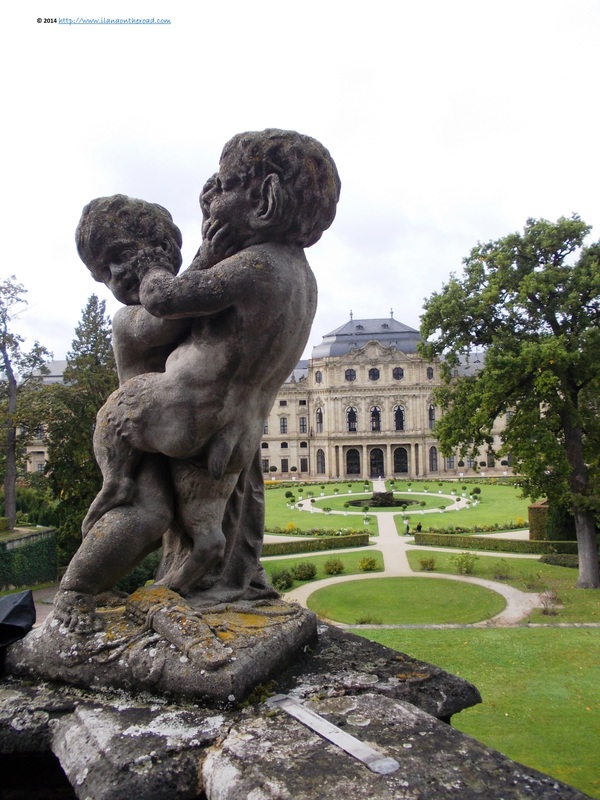 One of them is the rococo Julius Hospital, whose gardens and flamboyant architecture are part of the local attractions of the city. 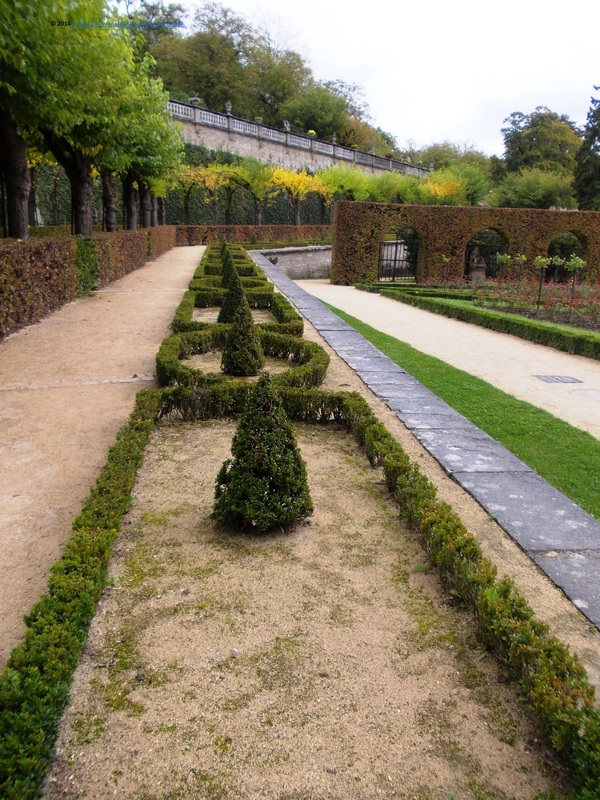 A serious part of my visit will be spent exploring the gardens labyrinth of the Residence Castle, part of the UNESCO heritage sites and one of the most beautiful ones in Germany. 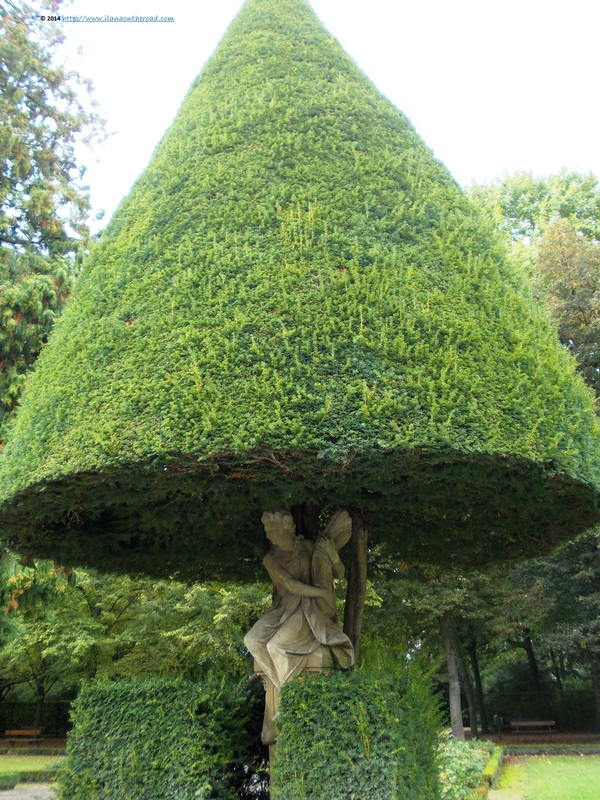 It reminded me of the beautiful Schönbrunn gardens, but the scale of manicured gardens bordering alleys that suddenly turn in completely unexpected directions or leading to unexpected corners of landscape is much bold. The work of the man is either manifested through the various styles of statues or the care to turn the nature into a piece of art. At the same time though, the force of the wild nature is strong enough to serve as the main inspiration for the cultured. This is how I can explain the extraordinary power of this place, that you feel in every corner. The art of creating illusions is so powerful that I'm feeling in a wonderland where I'm afraid of being lost, the place created so strong emotions that I can hardly remember the right exit password. A visit to the castle, built between 1720-1744 and used as a former bishops residence, revealed a more domesticated reality. 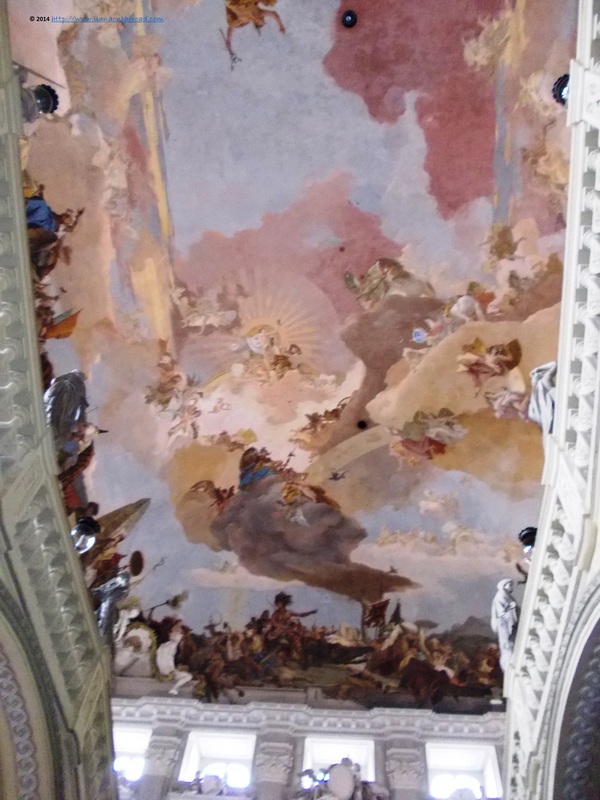 The beauty of Tiepolo's frescoes completes the landscape of the intricate influences that contributed to the conception of this castle, from the Viennaise style, to the French castle flavours and the emotional Northern Italy. 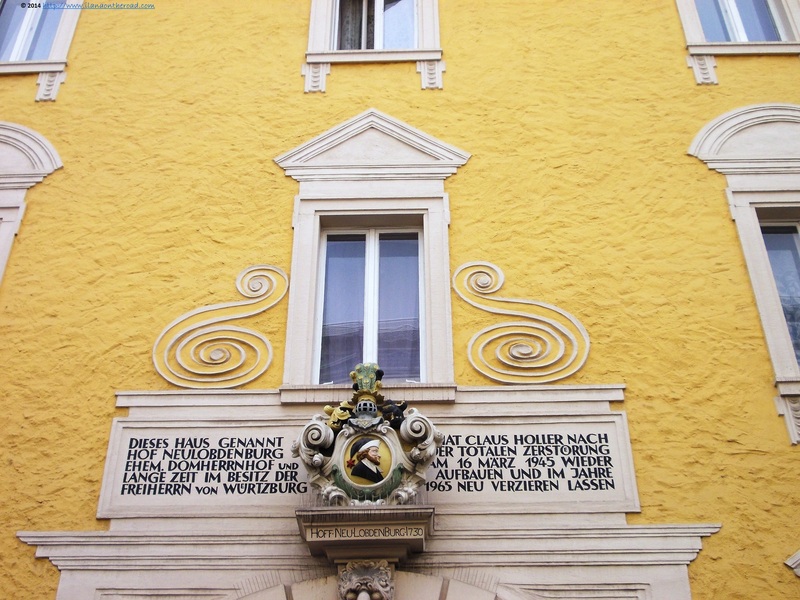 The architecture of the streets and houses is less spectacular, with many embellishing decorations and various historical mentions of the previous history, before being destroyed during WWII. 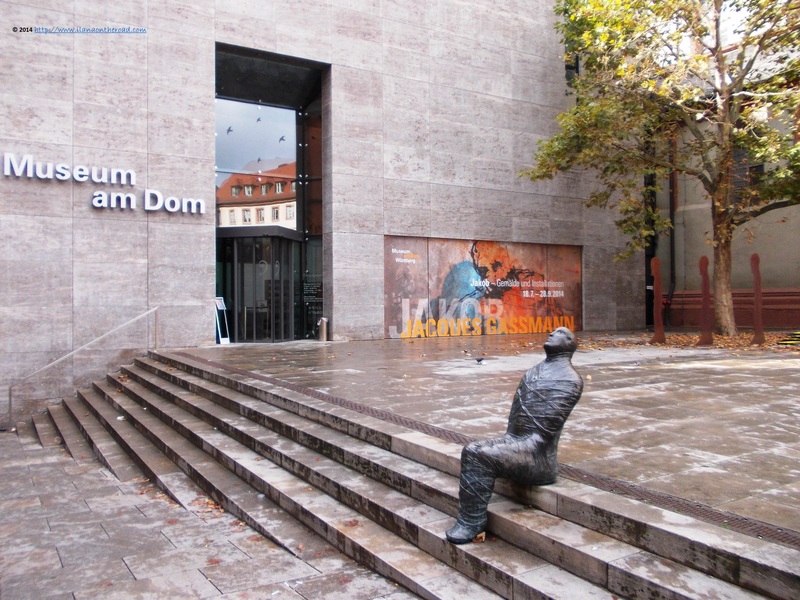 More about the local history, especially during its time as a Bishop residence is revealed at the 10-year old Museum am Dom. 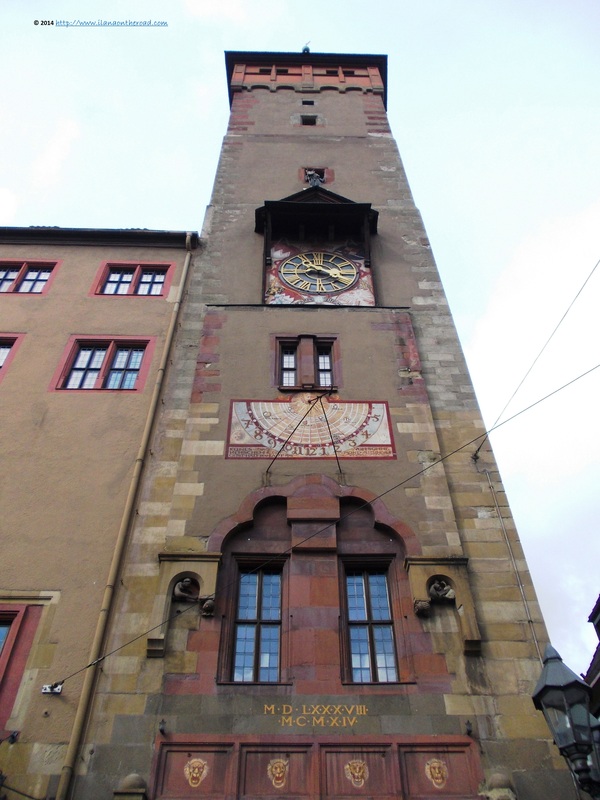 The old city hall, as many other similar constructions in Germany, especially in the Southern part, did not disappoint, with its imposing high and whose architecture seems to be inspired by the predominant religious constructions in the city. 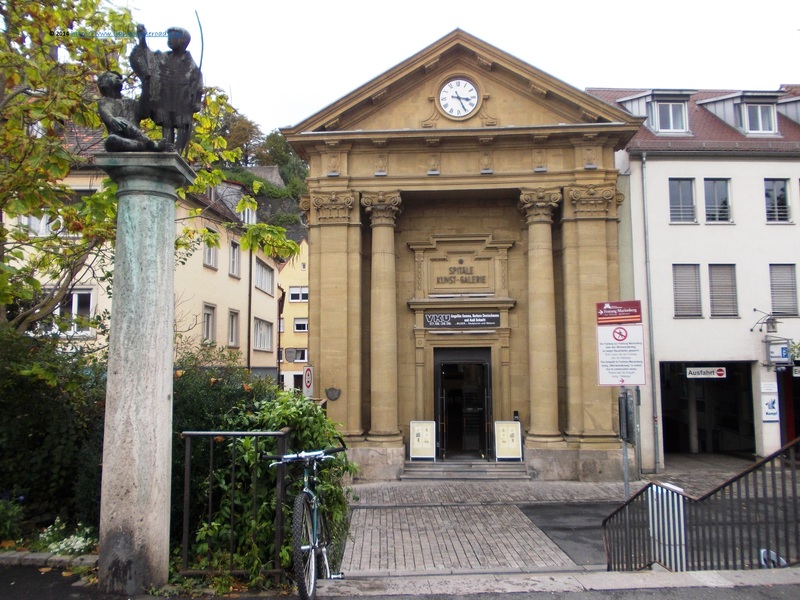 The modern world changed the functions of many buildings and just another former hospital was turned into an art gallery. 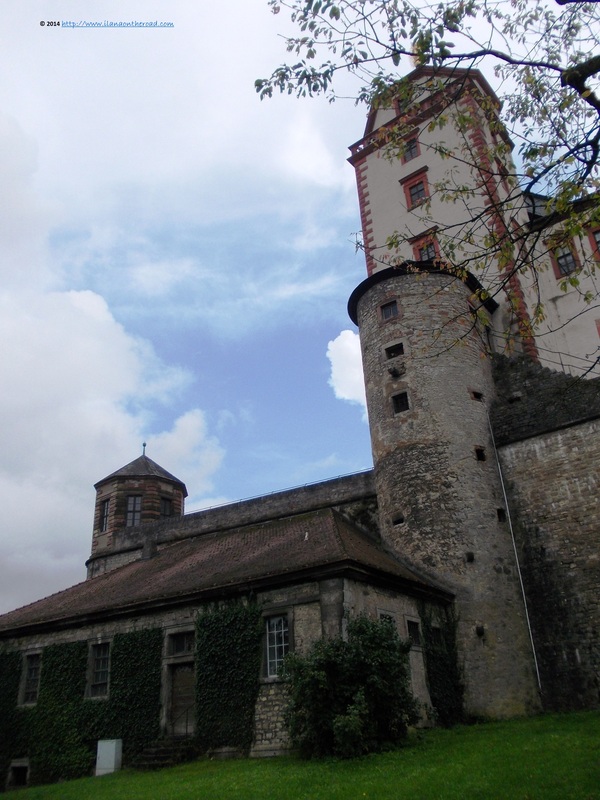 Another hill of vineyards encouraged me to try hiking till the top of the Marienberg fortress, following tight cobblestone stairs and narrow alleys bordered by a houses built in all the historical styles, starting with the 18th century until the current busy times. The hiking till the top of the Fortress is pleasant, with many green trees announcing maybe a beautiful foliage season in a couple of weeks, but the vineyards are well hidden so I cannot have a good view of them. I am thinking about how beautiful everything might smell in the early spring, when the vineyards' flowers are in full bloom. Initially, the fortress was built in the 13th century and witnessed many fights typical for those historical times. 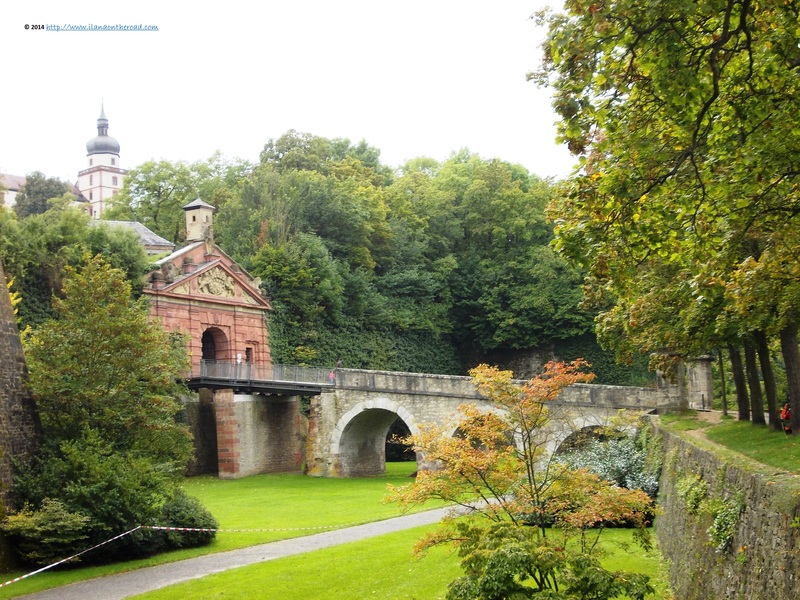 Now, it is a great place for the late afternoon dog walking or for jogging, but it can also explain a lot about the history and traditional architecture in this part of Germany. 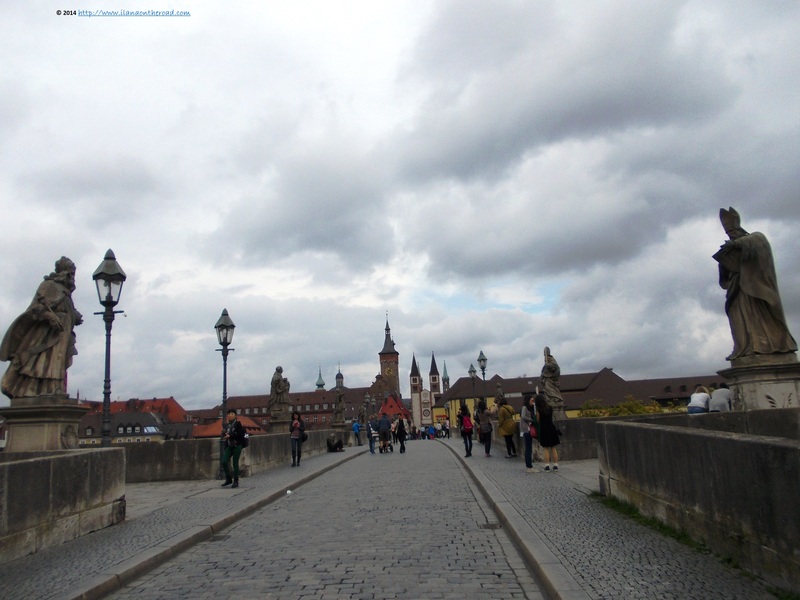 Back in town, I'm again on the bridge - it might remind of Charles Bridge in Prague, isn't it - where tourists take pictures or are invited to do some wine tasting in one of the many small wine shops and bars nearby. It's getting cold, but wine, drunk in the right amounts, can always bring some pleasant warm into the heart. 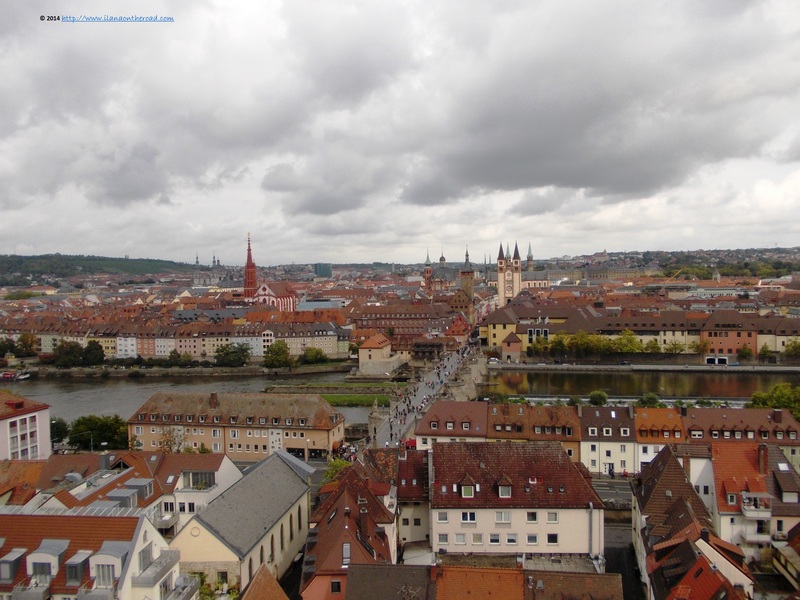 Würzburg is also an university city and proud to be the home town of Wilhelm Conrad Roentgen. More I walk the streets, more I might think about the coexistence between various spiritual layers of the city and especially how the modern world can spring in the middle of traditional mindsets. 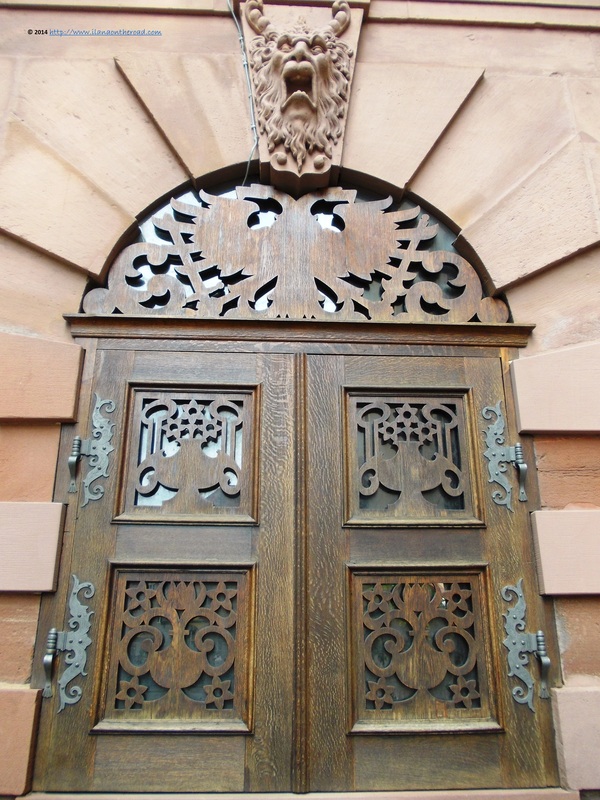 The boiling Baroque of the castle can be an answer, and its traces can be seen in some small architectural details as well. 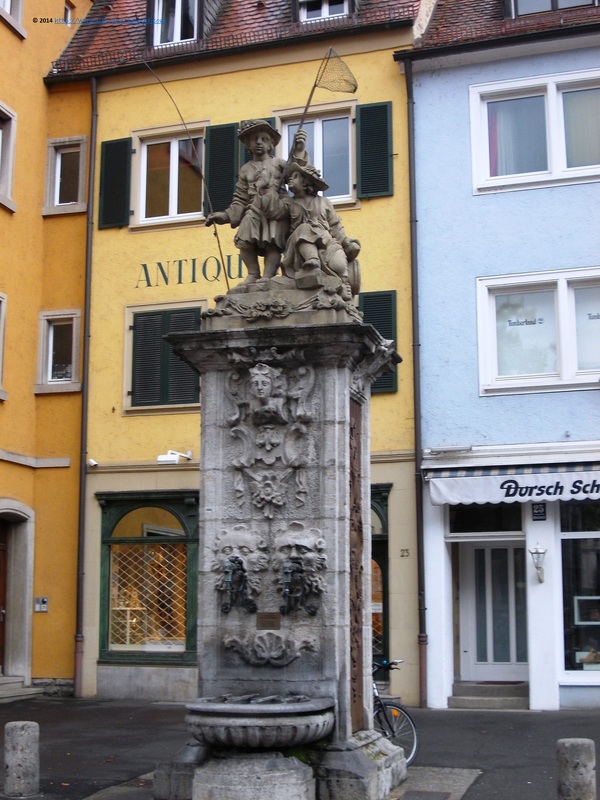 The market square is empty, but it's a good standpoint to notice various styles of the buildings. An Australian band is playing loud some Irish-music and most of the people are running there, maybe happy, as I was too when heard the sound of the music first, to see that there is still something going on in the city. 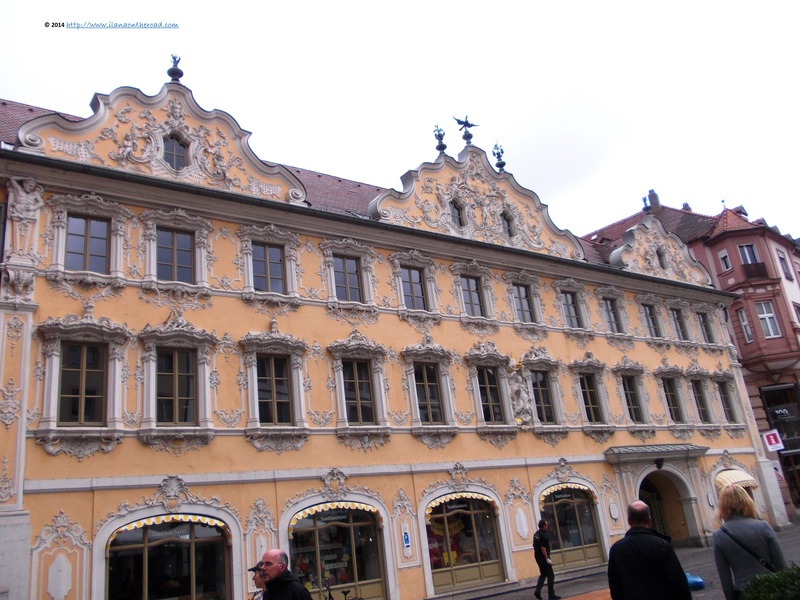 Moving forth from the concert, my eyes were pleased to discover the Rococo exuberance of the 18th century Falkenhaus, a former bourgeois residence. All the small rebel details of the facade are balanced by the geometry and even by the windows and the special painted colour. It's like a beautiful cake specially decorated to make you think about the pleasant surprises in life. Not always easy to get into this mood. 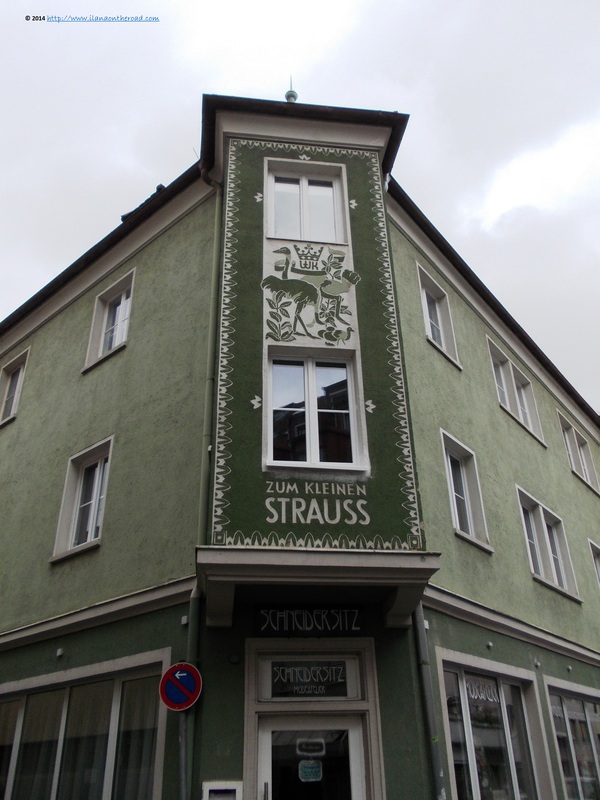 From there, the streets around are very busy with the coming and going of shopping lovers, as here is concentrated the shopping district of Würzburg. Traditional tailoring, glass stores and shoe reparation shops also survived the top-notch demands for modern supplies. 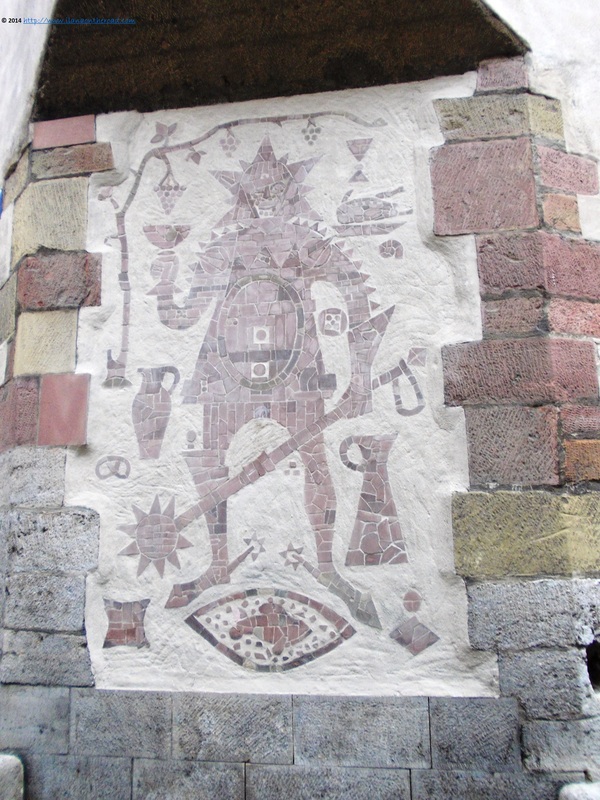 I did not find too much street art in Würzburg - and the more you go South of Germany, the less spectacular street art there is - but the local history and traditional art imagination did not neglected the care for making the city beautiful, or at least creating some artifacts that makes your living better. Not in the central areas, but on some streets around some exuberant Baroque putti are apparently busy catching butterflies. 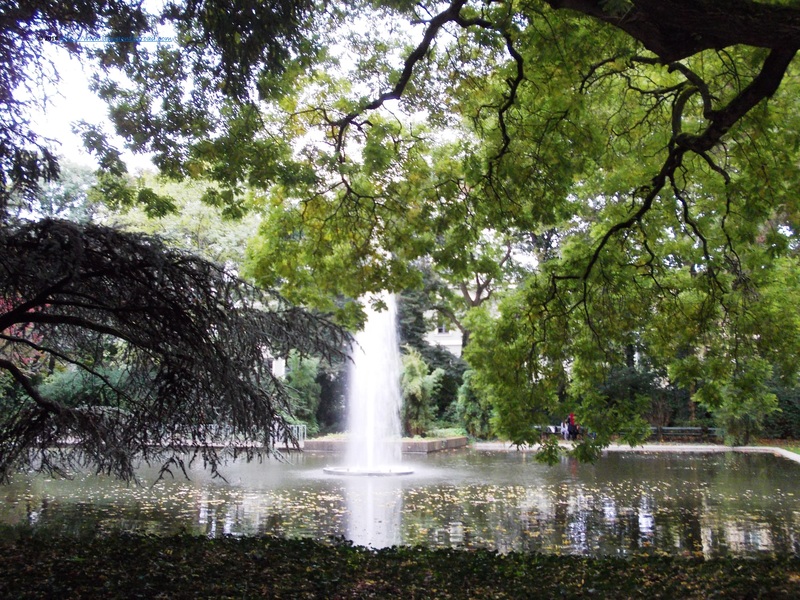 The parks and green spots can offer some quietness and the comfort of the almost perfect silence.